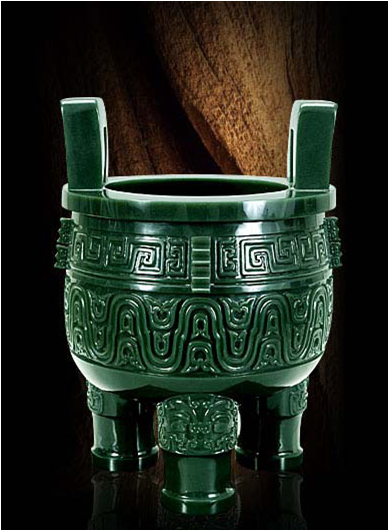 According to some documents, nephrite jade deposits in BC were first identified by Chinese settlers in 1886 when passing through Victoria for the gold fields along the Fraser River and the Dewdney Trail from Hope to Kootenays hunting for gold, when nephrite jade was considered worthless by European miners. 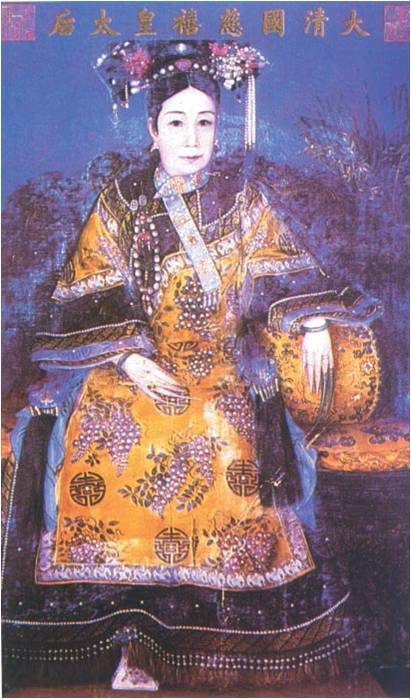 There were documents mentioning that Cixi, the powerful Queen of Qing Dynasty loved jadeware made from Canadian green nephrite jade. 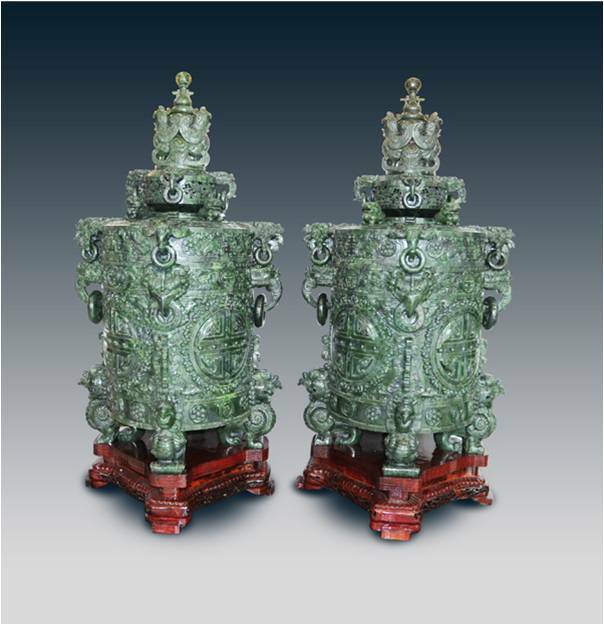 It is highly possible that when the Chinese settlers in Canada found green jade in BC in 1886, they found a way to ship some of the BC jades to China, and part of these BC nephrite jades ended in the palace. 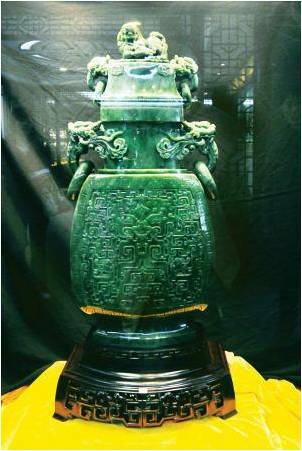 Canada had exported jade to Taiwan, which then had re-exported Canadian jade to mainland China, Hong Kong and other countries, claiming it was Taiwan jade. Since 1986, Canada has started exporting Jade directly to China. 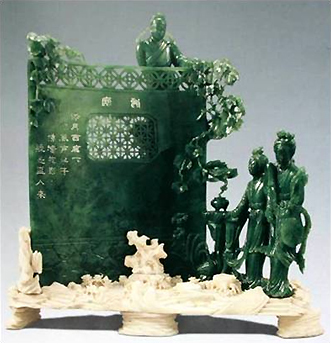 The most famous jadeware made from Canadian nephrite jade is probably the masterpiece carved by Mr.Pan Bingheng (潘秉衡大师 in Chinese) in 1930s' in Beijing entitled "Dating under the Moon" (待月西厢 in Chinese).